Dafydd Wigley has had a wide and extremely impressive career since he graduated from Manchester University. Dafydd's first appointment was as an Economic Analyst with a large car manufacturer. From this post Dafydd was appointed Chief Cost Accountant with Mars Ltd followed by Financial Controller of Hoover Ltd.
Dafydd Wigley was appointed MP for Caernarfon and served for over twenty-five years. During this time Dafydd became a Member of the National Assembly for Wales followed by Member of S4C Authority Board; Pro-Chancellor of University of Wales; President of National Library of Wales. 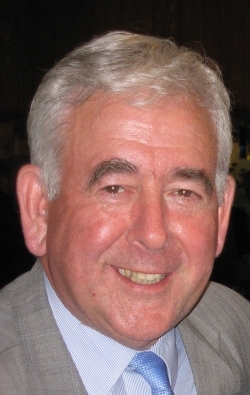 Dafydd Wigley was appointed Life Peer in 2010. Dafydd Wigley has had six books published, including 'An Economic Plan for Wales'; 'A Democratic Wales in a United Europe' and 'A Real Choice for Wales' and several autobiographies. Hon Member, Gorsedd of Bards, 1981; Privy Counsellor, 1997; Hon Fellow, Univ of Wales, Bangor, 1994; Hon Ll.D. (Wales), 2002; Freeman of Caernarfon, 2003; Hon D.L. (Glamorgan), 2003. Lord Dafydd Wigley is a fluent English and Welsh speaker who also speaks French moderately. A commanding and extremely interesting speaker on a wide range of subjects.